After a couple of months absent from my blog I’ve found motivation to start writing them again and hopefully keep you updated more often. Monday consisted of a 3k pursuit for me, I wasn’t keen to do it after a bad ride last year but with a bit of persuasion from my dad I decided to give it a crack. I went in not expecting to come away with anything and no specific training as this was only my first pursuit of the year. I settled into the pursuit fairy well and I was ahead of scheduled which we had set to be a 3:27. 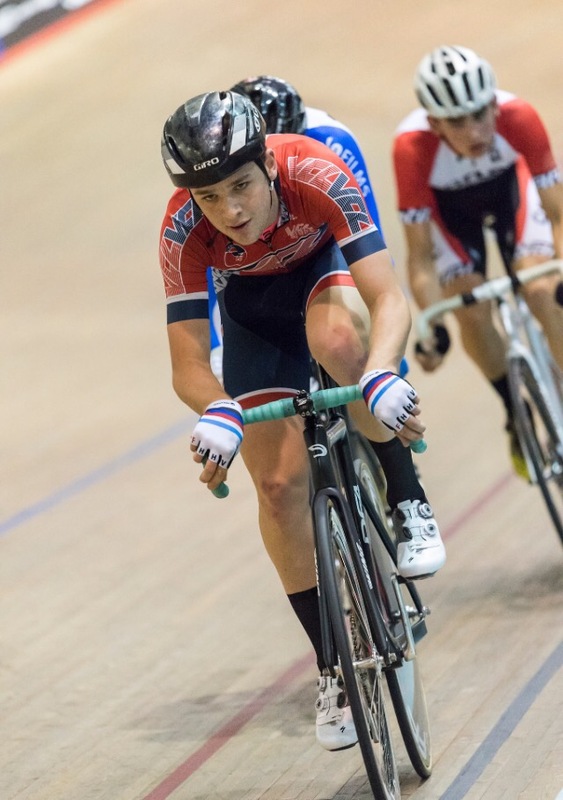 I was a couple of tenths up most laps and felt like I was strong and well-paced. It hit 2 laps to go and I just emptied the tank thinking how it was only one lap of Herne Hill left and I was going for that lotus biscuit preme. I had finished only to realise I had done a 3:22. 9 seconds better than last year’s 3:31. I was over the moon with my ride and it came as a complete shock. I ended up 5th just 0.4 seconds of a Bronze medal ride off. This left me in the ride off for 5th-8th, after a bit of recovery time and all fuelled up on a Tesco meal deal pasta pot I was ready to go for round 2. After hoping on the rollers it was clear my legs weren’t at what they were earlier on in the day and soon I was on the start line, I decided to stick to my previous schedule of a 3:27 for the final and I managed to hold it finishing on a 3:27. Which I was fairly happy with considering my legs felt heavy and I had no one to try and catch. I ended up finishing sixth which at the time I felt a little bit disappointed with but looking back I realise my qualification time I should be proud of especially up against riders who have had a lot of specific training for pursuits. 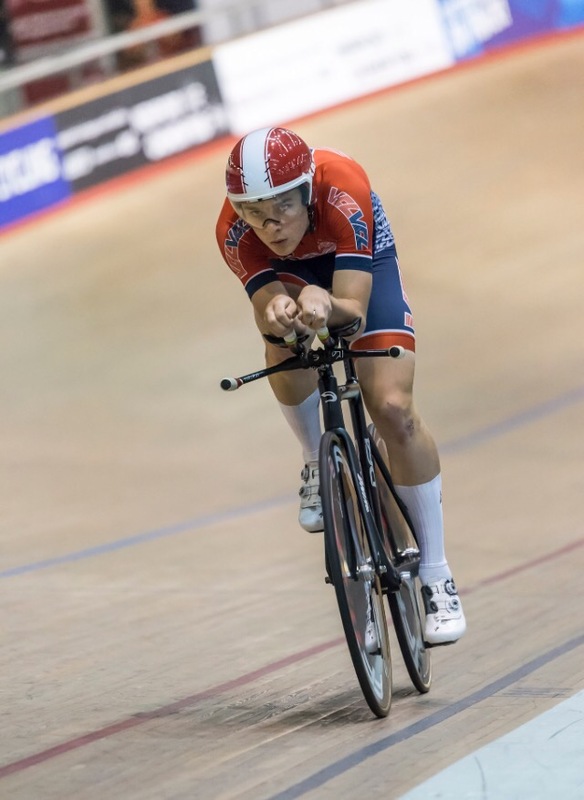 The two other moments of my day were Rachel getting second in the junior girls points race and a special mention to Ethan Vernon for winning the pursuit and setting a new national record. 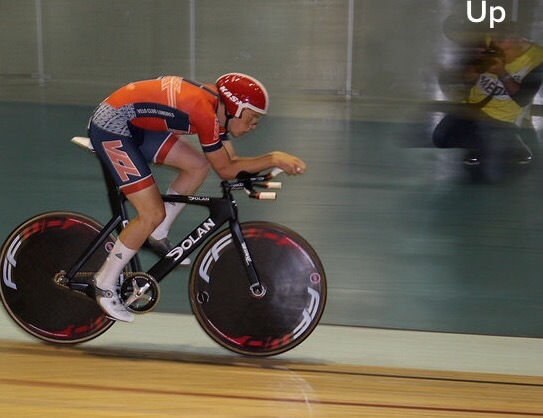 Tuesday was the scratch a 10k qualifier followed by a 20k final if I qualified, the qualifier was fairly controlled with nothing really getting away apart from one rider Theo Modell who was brought back with 6 to go. From 2 ½ laps to go I got on the front next to jake stewart just to make sure of not getting swamped. Sure enough my plan worked and I wasn’t swamped and came in third(top 12 qualify). The scratch final was 80 laps it was fast but controlled and no breaks really gained much of an advantage for the first 60 laps. 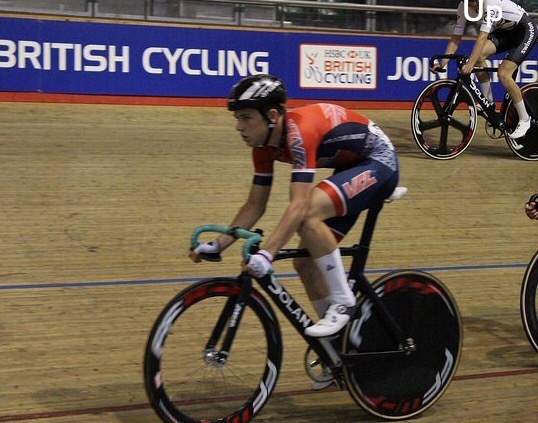 I knew I wouldn’t be able to match some of the top riders in a sprint so I went at 16 laps to go however after 2 laps of hanging out there on my own I was joined by Jake Stewart and we managed to work well for another 2 laps before being reeled back in. I went again one lap later and emptied the tank and left everything on the track but I started to tie up and was caught at 8 to go. Fred wright(vcl) countered my move with one other and it looked promising but they was unfortunately caught with 2 to go. I hanged on to a top 10 which was alright but not what I was going for. My highlight of the day was seeing Oscar and Leo taking a 1,2 in the boys points race after taking a lap. 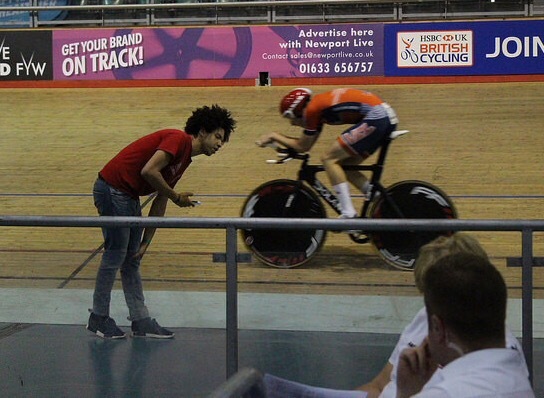 Wednesday was the Madison we weren’t on till the evening so me and Fred rolled down to track and spinned on the rollers. 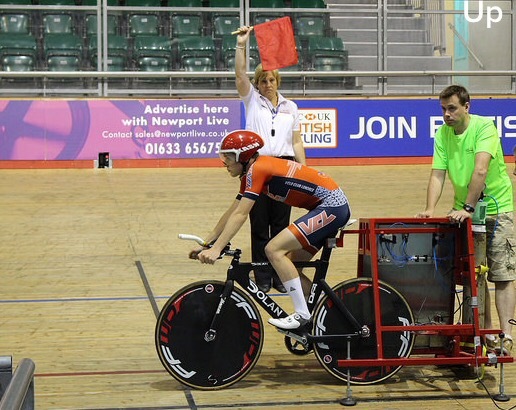 At 4 we hit the track for the Madison warm up after a couple of changes we was ready to race. I was racing with Fred my teammate. We had a chat but agreed that with Madison being so unpredictable that it was hard to go in with a plan. But we agreed on trying to pick up as many points as possible as well as trying to take a lap somewhere in the last 40 laps. The 120 laps was underway and after about two laps my front wheel was almost taken out but luckily I was upright and if anything it had got the adrenaline going. We failed to score in the first sprint as we got slightly chopped up and Fred made the right decision to not risk crashing for the sake of one point. The next 4 sprints passed and we was keeping very consistent scoring in every set of points however Jake and Rhys had built up a marginal lead on us soon it was 60 to go and we was being alert and making sure we was on every move. 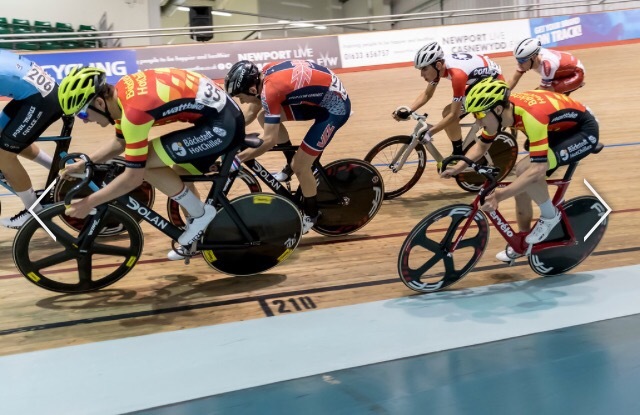 The race was on and there was only really five pairs left racing for the win, we got more consistent pretty much scoring top 1 or 2 in every sprint after Fred managed to get the sprint over Jake with 20 to go we was up to make this a fight to the last lap. And with 11 to go we made are move I managed to get Nally in the sprint and Fred was fortunately there soon after the finish line to swing in unfortunately a lapped rider got in the way meaning could only push him on the back and we lost all the momentum and gap we had and we was pulled back with 8 to go. There was only one point between us and Rhys and Jake coming into the final sprint unfortunately I completely hit the wall and my legs started to completely tire. I swung fred in with 5 to go and screamed at him to do the sprint but he screamed back at me to do it. 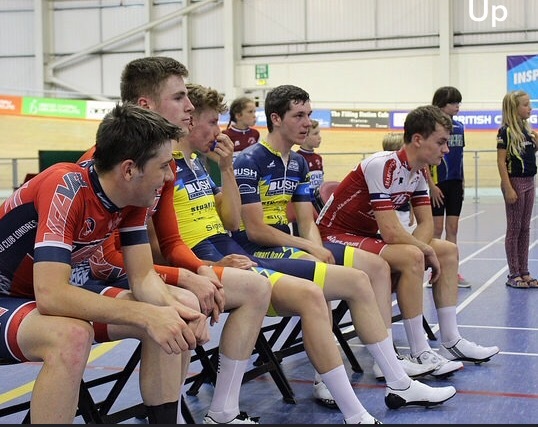 We was both knackered and unfortunately couldn’t match Jake and Rhys in the final sprint, well-done lads. It was nice after the race for so many people to come up to us and tell us how much they enjoyed the race as that meant a lot. 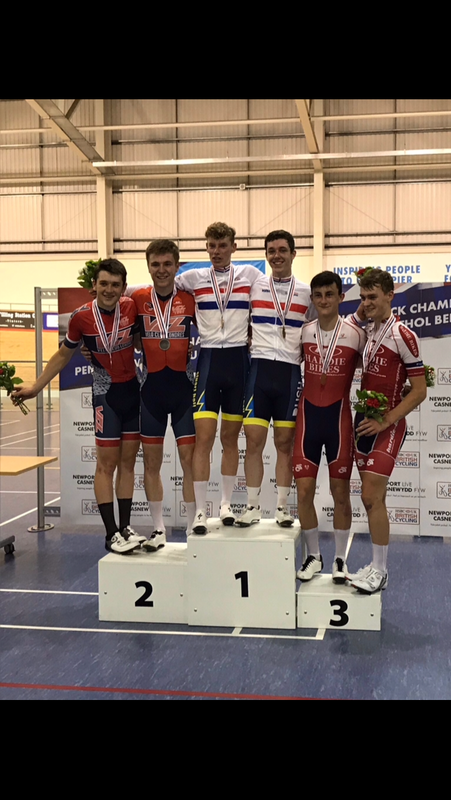 The highlight of the day had to be claiming silver in the Madison my first track medal and it wasn’t possible without Fred helping get me around. Thursday the final day was the points race a 120 lap race with sprints every ten. It started off we a early start with needing to get to the track for nine for the qualifier. I was up in the first qualifier over 60 laps which had 6 sprints in it. 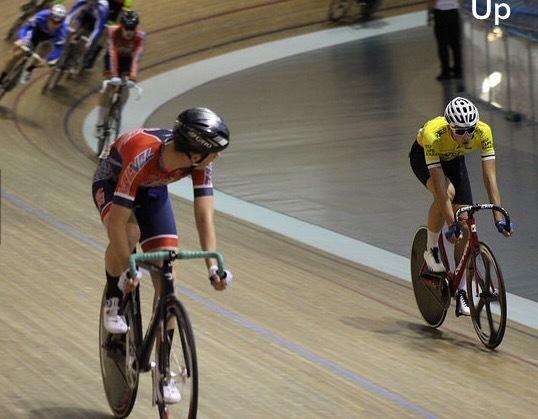 The first sprint came and there was a lot of people keen in it I managed to pick up 4th and gain 1 point. Sprint two and scored again this time coming third and claiming 2 points. Sprint number 3 and this time it got one better coming second bringing my total points up to 6. Probably enough to qualify so I sat back in the wheels for the next 25 laps there was a group of 4 who took a lap but it wasn’t so much of a problem for me. Another three riders got off the front with 8 to go and at six laps to go I thought I would try and bridge the gap I soon got over with 4 to go and managed to pick up maximum points in the final sprint. 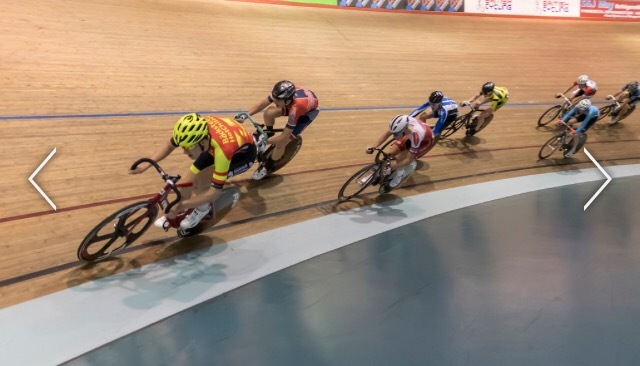 After a long break and a big lunch I was ready for the final, my last race of the week and I was prepared to leave it all on the track, I decided to gear down to a 94 after a 96 felt a bit heavy in the qualifier. i knew it would be hard in the first 40 laps on a smaller gear but I was hoping that a break would go and hopefully be able to take a lap. 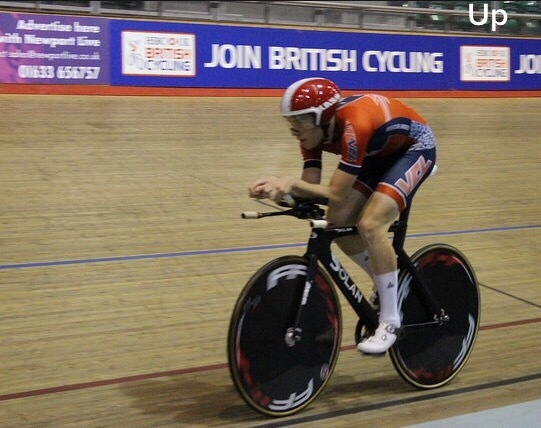 Unfortunately the race didn’t go as I had planned and I struggled in the sprints on a smaller gear. Nether the less after 80 laps I had managed to pick up 6 points over three different sprints. In the last 40 laps I was trying everything I could to get away trying every couple of laps. Eventually after the final sprint a group of 4 of us got away and it looked promising to win the final sprint and move up to a podium position. I thought i had it until 100 metres to go when I was rolled by three chasers and I held on for fourth leaving me on 8 points and in 7th place. I would like to thank Josh for all his help and it wouldn’t of been possible without him, Mark and Chris for there cooking and mostly to the club for supporting us and to all the riders in the club who made it such an enjoyable time on and off the bike. Good to see the Blog back, thanks J….. Some great racing Jacob. A joy to watch. Congrats on the medal too. Well done. Jacob Vaughan Cycling Blog at WordPress.com.